Health, wellness and the art of cosmetology come and meet seamlessly on the table of this clinician. Dr Anju Kollare is one of the best in the field of Dermatology, if you are looking for a professional in Mumbai. With her caring attitude and healing prowess, she has become a name to reckon with. Her focus lies on the skin and hair where she uses treatments for anti aging as well as Restylane vital treatment for a visibly smoother skin that glows with youth and good health. She also practices chemical peel treatment and derma roll treatment, while she uses Hair Mesotherapy Treatment for hair related issues. The best part about Dr Anju Kollare, which also makes her a stellar dermatologist in Mumbai, is the fact that she combines true wellness with the field of cosmetology for truly far reaching and obvious results that will last a long time and help in the upkeep of hair and skin in the long run. She has completed her MBBS from the Seth G S Medical College in Mumbai, which is a well known medical institute. 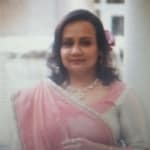 Additionally, she has also attained a PG Diploma in Aesthetic Medicine and Hair Transplant from the American Academy of Aesthetic Medicine and a PG Diploma in Clinical Cosmetology from the American Board of of Aesthetic Medicine, as well. She also makes an effort to understand and counsel the patient in terms of lifestyle changes so as to bring about better health for the skin and hair, from within. This makes her a highly qualified doctor in the field of dermatology in Mumbai. Is hair fall can also from masturbations. please doctor suggest me and it is bad for body also by doing masturbations. Why Should We Condition Our Hair? Even in this era of rat-race for the career oriented gen next of our society, looks do matter, and we all tend to find some time at the end of a very busy day for a simple touch up. Yes, would be the answer by most. Let’s check out how our near and dear partner in our daily lives, the conditioner, is helping us have a few good hours of the day and saving us from some unavoidable hair conflicts. Of course, we wouldn’t want our 20 minutes of extensive hair wash to go in vain at the end of the day! To enjoy a long lasting effect of our dedicated hair wash, we need to use conditioners. Shampoo and extensive hair wash, disposes the natural oil from the hair, squeezing out the nutrition in it. The conditioners help rejuvenate the hair shaft avoiding unnecessary hair breakage and split ends. The conditioners are made of surfactants, oils, lubricants, moisturisers and reconstructing agents, which prevent hair damage, help increase hair volume by adding a noticeable bounce to it, and keeping the shafts hydrated as well. Know what you want, when you want it. What we should be aware of are the different kinds of conditioners to understand the specific ones, which are good for our hair. From the wide range of leave-ins packs, and holds, it might be difficult to choose, if you are not experienced. You can consult any hair specialist or dermatologist for the best advice. Here’s a simple tip on how to use it. Always try using conditioners before you shampoo. This is because conditioners have ingredients that don’t really wash out when we use them after we shampoo. This tends to weigh the hair down, reducing its volume. Using it before a shampoo wash will add an extra bounce worth significant admiration! For more tips on hair care, you can always visit a dermatologist near you. Conditioners are obviously for the best interest of any individual. But do keep your eyes open for the silicon-based products. These usually rinse off the natural nutrients from the hair. If you are already an avid user of the mighty conditioner, here is some friendly information, which you might already be aware of; and for the ones who haven’t tried, let’s save the world from another Bad hair day. If you wish to discuss any specific problem, you can consult a dermatologist. Human skin is prone to many problems like pimples, pigmentation, wrinkles and acne. Acne is the bane of an adolescent’s life. Yet it happens due to a common problem. Hair follicles on skin, arms and the torso, sometimes overproduce cells and become blocked. Due to this blockage, oil produced by tiny oil glands in the skin gets trapped and becomes a breeding ground for bacteria, giving rise to acne. There are two main types of acne - non-inflammatory and inflammatory. Examples of non-inflammatory acne are whiteheads and blackheads. Blackheads form when a clog or plug develops in the opening of hair follicles in your skin. Each follicle contains one hair and a sebaceous gland that produces oil, called sebum, which helps keep your skin soft. Dead skin cells and oils collect in the opening to the skin follicle, producing a bump called a 'comedone'. If the skin over the bump stays closed, the bump is called a whitehead. When the skin over the bump opens, exposure to the air causes it to look black and a blackhead forms. These are ugly but can be taken care of through common cosmetic procedures. Inflammatory acne is not so easy to treat or hide. Usually, in this type of acne, the hair follicle wall ruptures and the fighter white blood cells rush into the spot, causing either a very prominent white, yellow or red sore to form or a pus-filled lesion which is damn ugly and leaves a lifelong scar on drying. That’s all about acne, now the treatment. Acne is partially a hormonally linked problem and it is also linked to inflammation. Adolescents suffer the most. Treatments include pills and creams. But now lasers have become the treatment of choice for sufferers. Lasers are the magic wands of plastic surgery. They work by emitting a ray of light which produces certain effects in the skin leading to the removal of acne and its scars, as well as skin tightening, and hair removal. Laser treats acne by shrinking oil glands and killing the bacteria that cause acne. They, apparently work on ’porphyrins’, compounds which are present inside acne-causing bacteria. So when porphyrins are targeted, they damage the bacterial wall killing the bacteria. The kinds of lasers that doctors use for treating acne include Diode, Nd:YAG, IPL, Glass, and Pulsed Light and Heat Energy (LHE), as well as a new "vacuum" laser called ‘Isolaz’ which is extremely effective. There are reports that laser treatment may also reduce sebum (skin oil) levels in the skin which trap bacteria and cause acne in the first place. The lows of laser for acne treatment are that it’s expensive and usually, requires multiple trips to the dermatologist. Doctors usually recommend three treatments, about a month apart. This can go up if you have stubborn acne. Laser resurfacing, a process that smoothes the top surface of the skin is also used for getting rid of acne scars. But once again it’s expensive and takes multiple sittings. If you wish to discuss about any specific problem, you can consult a dermatologist. Oxygen Facial Therapy And it's Benefits! The Oxygen levels tend to drop since the age of 25 and by 40 at least 50% of the skin's Oxygen retaining capacity gets impaired. When the skin lacks Oxygen the blood vessels get constricted and it adversely affects the skin's ability to function normally. Dull and aging skin can't be covered up with makeup or following skin care regimen after a certain point of time. Stress, lack of sleep, hormonal imbalance, unhealthy lifestyles etc can take a toll on your skin. If you wish to discuss about any specific problem, you can consult a dermatologist and ask a free question. What can I do to control receding hairline from the temples. Its not hereditary or any infection .plz help sir. Apply onion juice in that area. You can also go to a cosmetologist or a dermatologist for hair growth treatment. I have dark circle from last 2 years. I smoke and. Little bit nasal block. I have tried a lot of natural remedies What should I do. Suggest some medicine. You can use Vichy under eye cream. You can also do RF TREATMENT from a dermatologist for under eyes. Sir. I hv got a lot of pimple marks, chicken pox marks and cut marks on my face. I hv heard of laser technique and chemical methods. I do not know much about these methods. please can you tell about them and there expected costs. And will they give a permanent effect or not. Please do Nanofractional RF TREATMENT or fractional laser treatment for the scars. Do it from a dermatologist. Estimated cost around 3000-8000. Hi doctors I am male 25 year old My face skin is so dry which cream or medicine I should use to make it shine and glow. Use Vit E moisturiser (Neutriderm Company) daily twice a day. Also use a good sunscreen like NEUTROGENA or UV Skrin. Scabies is a skin condition that causes the skin to itch. It is caused by a tiny burrowing mite, which is called Sarcoptes scabei. The presence of the mite in the burrowed areas causes intense itching, especially at night. This a contagious condition, which can quickly spread through physical contact in places like nursing homes, schools, prisons etc. An estimate shows that scabies infect over 300 million humans worldwide per year. This eight-legged microscopic mite creates a tunnel in the human skin and lays eggs in it. These larvae move under the surface of the skin and spread across the whole body, once hatched. Dogs, cats and mice can also be affected by the disease. It usually takes 2 - 6 weeks for the symptoms to develop. Signs and symptoms of scabies involve itching, rashes, sores and thick crusts on the surface of the skin. An infected person can easily pass scabies to his/her household or sexual partners. Scabies in adults is usually sexually acquired. The likelihood of scabies increases easily under crowded conditions which involves close body and skin contact. Nursing homes, prisons, and several types of care facilities are sites of scabies outbreaks. Scabies spreads through direct, prolonged skin-to-skin contact with a person who has mites. Persistent and vigorous scratching can break the surface of your skin which can lead to secondary bacterial infections. Impetigo, a superficial infection is quite a common occurrence in case of such. Crusted scabies is the most severe form of scabies which is common among certain groups. People suffering from diseases such as HIV or leukemia and severely ill people who have weakened immune systems are at a higher risk of contracting this condition. This condition, also known as Norwegian scabies is very contagious and also hard to cure. Depending on the symptoms and severity of the condition, appropriate medications and creams are prescribed by medical professionals. If you wish to discuss about any specific problem, you can consult a doctor and ask a free question. Acne is a disorder, which is characterized by small red bumps on the skin or occluded pores in the skin such as blackheads. Acne occurs when overactive sebaceous glands (glands that produce oil in the skin) produce excess oil and the dead skin cells clog the pores of the hair follicle present in the skin. Acne is a condition that affects many people including teenagers and women during their menstruation period. The problem of acne can be extremely annoying, making most of the people to opt for self medication. Hypertrophic and Keloid scarring: Raised tissue on the surface of the skin following excess collagen production causes such kind of scars. Atrophic or depressed scarring: These scars are caused due to reduced tissue production. Small, but noticeable holes on your skin are called Ice picks. However, the boxcar is a scar, which is similar to a chicken pox mark. Food items rich in carbohydrates can trigger acne. Dairy products could also worsen the condition. Any medicine that contains lithium, androgen or corticosteroids can worsen this skin condition. Malfunctioning of hormones even after the age of puberty can lead to acne formation in both males and females. Bacteria, excess oil, blocked pores, and dead skin cells are the primary reasons behind acne. Fractional resurfacing laser is one of the most effective treatments for acne scars. It is a minimally-ablative technique that creates microscopic zones of dermal injury in a grid-like pattern. This helps in collagen remodelling, skin tightening, scar improvement, reduction in fine lines, improvement in texture, tone and colour of the skin. A series of 4 to 6 sittings are usually needed for optimal results. Each session lasts for one hour and is performed at monthly intervals. Certain types of scars such as the ice pick and rolling scars, pixel laser are combined with subcision, dermal rollers and TCA cross. In addition, punch excision and softening of margins with laser can be done for box scars.